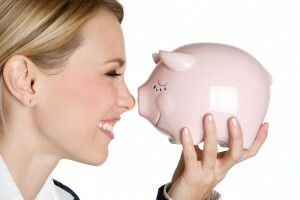 If you are considering getting a nose job, one of the things you will need to consider is the cost of rhinoplasty. There are a number of factors that will influence rhinoplasty cost including the geographic area, the surgeon’s skill and reputation and the actual amount of surgery that needs to be done during your nose job procedure. The cost of rhinoplasty can range from around $4,000 to as much as $10,000 so it is important to do your research before you decide to commit to nose augmentation. The nose surgery price will be comprised of 3 separate fees including: plastic surgeon’s fee, the anesthesia fee and the facility or hospital’s fee. As rhinoplasty is a major surgery, general anesthesia or sedation will be required to put you to sleep so that you are unconscious during the procedure. The anesthesia fee includes payment for the anesthesiologist or anesthetist who will monitor you during the rhinoplasty surgery. The anesthesia portion of the cost of rhinoplasty will generally range from $600 to $1,000 depending upon the length of the surgery. The facility or operating room fee will usually also average around $700 to $1,000 depending upon the facility chosen. This portion of the cost of getting a nose job is also known as the non-surgical fee and includes use of the operating room, nursing staff and surgical supplies that are used during the procedure. Medications and laboratory testing that need to be done may drive the nose job cost a little higher and if an overnight stay is required, the cost of rhinoplasty will certainly be higher. While the anesthesia and non surgical portions of the cost of rhinoplasty are considered to be “fixed”, meaning they will not vary largely from patient to patient, the only thing that may influence them largely may be the region of the country. For example, a procedure performed in California, may have much higher non surgical nose surgery costs than a similar procedure performed in Utah. The surgical fee includes the cosmetic surgeon’s time to perform the procedure. It also generally includes the initial consultation. This part of the nose job costs will be based largely on the physician’s reputation and skill. The more experienced he or she is at performing rhinoplasty, the more skilled at producing good results he will likely be. As a physician receives more successful patient results, he will increase in value allowing him to charge more. It is important to remember that getting the lowest price of rhinoplasty surgery is not the best way to choose a physician or location to have your procedure performed. In this case, cheaper is not usually better and as the nose is one of the most prominent features on the face, you need to ensure that you will get the right results. In this case, it may benefit you to consider paying a higher cost for rhinoplasty as results are fairly permanent and you won’t want to be forced to consider revision rhinoplasty costs. To ensure that you are getting the best value for the cost of rhinoplasty, make sure that the cosmetic surgeon you are contracting is board certified. He or she should also be known for producing quality results and will be able to prove this by offering a number of before and after rhinoplasty photos for you to examine.